We shouldn’t be surprised, but it all goes back to how critical the next presidential election will be in a couple years. Yes, I know; every election is critical; even state and local ones, which the GOP has dominated in recent years. At one point, the GOP controlled 69/99 legislatures and held two-thirds of the governorships. Given the extreme anti-gun push in Virginia, you see the consequences of failing to win these races. The Virginia GOP hasn’t won a statewide race since 2009. Justice Democrats, which recruited AOC, and the Sunrise Movement plan to begin the campaign in March, a Sunrise spokesperson tells Axios. Why it matters: The plan laid out in broad terms Sunday night signals how advocates of the sweeping climate and economic proposal hope to ensure it's in the bloodstream of the 2020 White House race. Pillars of the GND include moving to 100% renewable electricity, job guarantees for people working in energy transition and "massive investment" overall in emissions-cutting, per AOC's proposal. 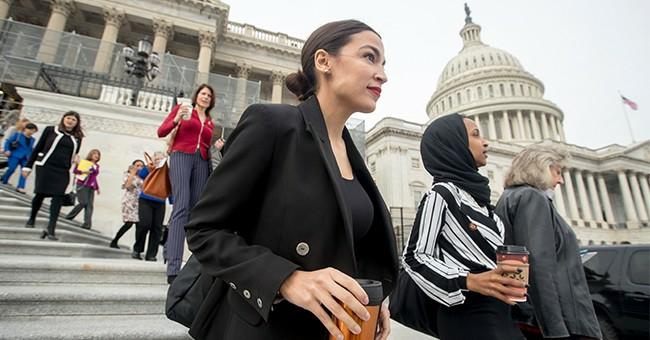 What they're saying: "We're making it clear any politician who wants to run for federal office needs to support the Green New Deal and not take fossil fuel money," Sunrise founder Varshini Prakash said on a call with reporters and activists Sunday. Where it stands: A Sunrise spokesperson told Axios last week that the campaign has already been meeting with the campaigns of some 2020 White House hopefuls. Several candidates or potential entrants — including Sen. Elizabeth Warren, Beto O'Rourke and Julián Castro — have voiced support for the idea in broad terms. And the 2020 clown car just got bigger with Sen. Kirsten Gillibrand announcing a2020 exploratory committee. You can bet she will be open to this parade of horribles. All the more reason to start getting ready for a nasty 2020 election.